Dr. Ara Nazarian uses the latest dental technology for full mouth reconstruction. Whether you lost a tooth to injury or decay, you can trust our dental implant dentist to restore your smile. Dr. Nazarian will help you explore your tooth replacement options (including dental implants) to help you smile with confidence. Our dental practice offers a range of cosmetic dentistry options for your smile makeover. For example, Dr. Nazarian offers dental implants to replace missing teeth. 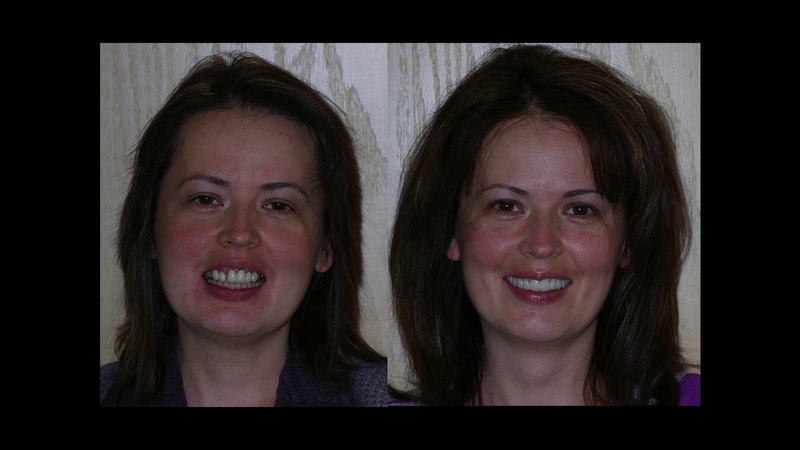 One popular version of a smile makeover involves the use of porcelain veneers. Veneers are wafer-thin porcelain shells Dr. Nazarian bonds to the fronts of visible teeth. Dr. Nazarian may recommend porcelain veneers to restore teeth with chips, cracks, stains, or other minor imperfections. He can also use veneers to improve the appearance of misshapen teeth. A dental crown (often called a “tooth cap” by our patients) covers the entire visible portion of your tooth above the gums. Our cosmetic dentist may recommend porcelain crowns to restore teeth made fragile by injury or decay. A dental crown restores a tooth’s natural strength and appearance. Everyone considering a full mouth smile makeover (or dental function rehab) of course wants the best that modern dentistry has to offer with an outcome that lasts a long time. Dental implants, crowns, bridges, and veneers can last for years. With proper care and good oral health habits, premium products endure surprisingly well. Many patients are unhappy with their smiles because they didn’t receive orthodontic treatment as children. As a result, their teeth and jaw alignments have grown progressively worse. Many patients also need full mouth reconstruction after a lifetime of neglecting oral hygiene. If you’ve ever felt self-conscious about your smile, request an appointment with our cosmetic dentist. Dr. Nazarian understands the embarrassment some patients can have about their oral health and is ready to help. Patients who seek cosmetic dentistry services have a rough (or exact) idea of what they want to achieve. For example, many patients wish to straighten their teeth and close gaps. Our dentist believes that your smile should not only look good, but complement your facial structure. The goal of cosmetic dentistry is to improve the appearance of teeth that show when you smile and talk. The goal of full mouth reconstruction is more expansive because it focuses on restoring the function of teeth, gums, and jaws. As a dental implant dentist, Dr. Nazarian strives to be the best dental health provider he can be. His goal is to provide what the patient wants as much as possible. It is the strength of that relationship and the quality of communication and education that influences the final outcome of nearly any complex treatment. Our patient (pictured here in several pre-treatment and post-treatment photos) first presented in our office with a request for treatments that would make her teeth look brighter (for a nicer smile) and to “fix” her chin, which she thought stuck out too much. Since this patient was born and raised in a foreign country, she didn’t have access to orthodontic treatment. A history of treating common childhood illnesses also caused the dark bands of staining on almost all of her teeth (severe tetracycline stains). During routine occlusal studies and analysis, Dr. Nazarian determined that certain orthodontic treatments could be provided on an accelerated schedule that would fix the orthodontic abnormalities of an adult underbite, combined with treatments to address a minor crossbite condition. Due to the mismatched pairings of upper and lower teeth in several areas of her jaw, the patient soon understood that, while some tooth structures would respond well and endure with custom veneer laminates, there were several other tooth relationships that would destroy a veneer application because of the biting characteristics of each upper and lower tooth pair. Biting surface realignment can be achieved through traditional orthodontics (long term), orthognathic surgery (costly and time consuming), and custom fabrication of dental components (crowns) that effectively reconfigure and shift the occlusal surfaces. Since the patient wanted to have her lower jaw repositioned, Dr. Nazarian determined that, for creating the correction she was seeking, a complex treatment of short-term orthodontics could simultaneously open the bite, shift the lower jaw into a more natural position, and also tilt the lower teeth into a more desirable position. The repositioned lower teeth were then fitted with either veneers or custom crowns to optimize the positioning of biting surfaces between the upper and lower jaw. The adjacent picture shows the actual crowns and veneer products that were used to alter the biting surfaces of nearly every tooth in the lower jaw as a means for addressing the patient’s crossbite issue. The premium grade of porcelain for creating the appearance of new tooth enamel on the tetracycline-stained teeth successfully blocks the stain from being seen. The combination of short-term orthodontic straightening and bite opening moved the jaw into the position that Mother Nature failed to produce. Lastly, Dr. Nazarian’s choices of veneers and porcelain crowns on different tooth structures assure that occlusion-caused breakage will not occur. Patients who have had significant issues with a bad or a disturbed bite will tend to focus more on the functional aspects of treatment. 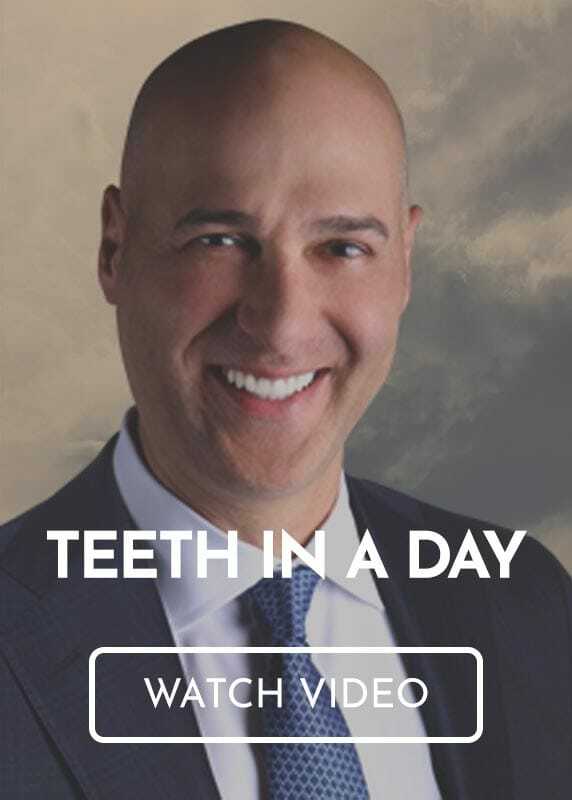 As with most reconstructive dentists who thrive on achieving the most dramatic results possible with any given choice of treatments and products, Dr. Nazarian maintains a watchful eye on the dynamics of change desired by patients. Patients who prefer cosmetics over function are assured bite factors are factored into aesthetic treatments. 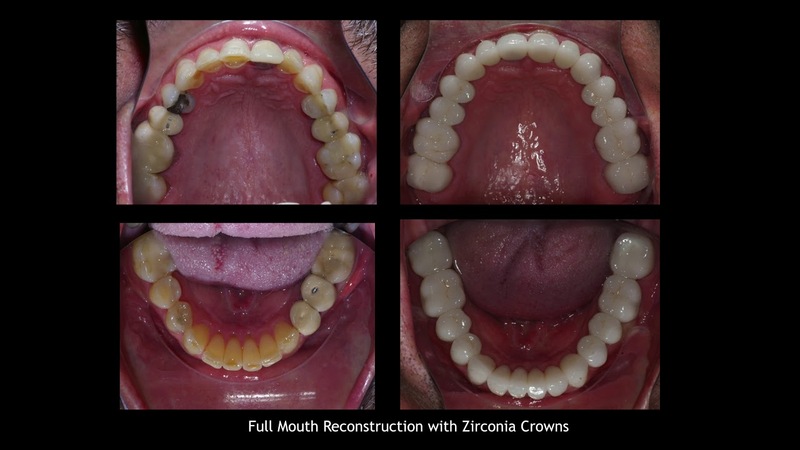 Patients who are addressing major bite correction or alignment issues are provided with a choice of reconstructive components that are attractive and complement the functional changes. Dr. Nazarian will be able to answer any questions you might have during your consultation. To request an appointment with our dental implant dentist in Troy, MI, call the Premier Dental Center at (248) 457-0500.